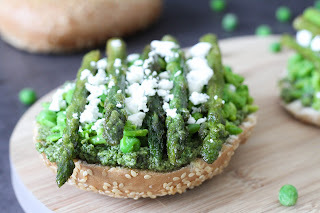 This green bagel is a rollercoaster of spring tastes. I was so surprised when first testing the recipe. I am really trying to respect the seasons on the blog. But sometimes you just can't handle your appetite for certain ingredients and then I am also making exceptions. Though spring is just around the corner and I was looking to develop a seasonal hit. The recipe includes asparagus and green peas, whose season will start in a bit. So what makes this bagel so amazing? Well.. let me tell you. It's the layer of mint and cashew pesto, which is the first layer and gives the whole recipe a lot of freshness. Then the smashed peas add a little sweetness and the asparagus some extra crunch. The scrambled feta rounds the whole thing up and ensures a smooth transition of tastes. Place the mint, feta, cashews, lemon juice, salt and pepper into a food processor. Blend for a minute, if necessary scrape dow sides. Now add the olive oil and blend again until well-combined. In a large frying pan heat some olive oil on a medium-high heat. Add the asparagus spears and sauté for around 5 minutes. Season with salt and pepper. 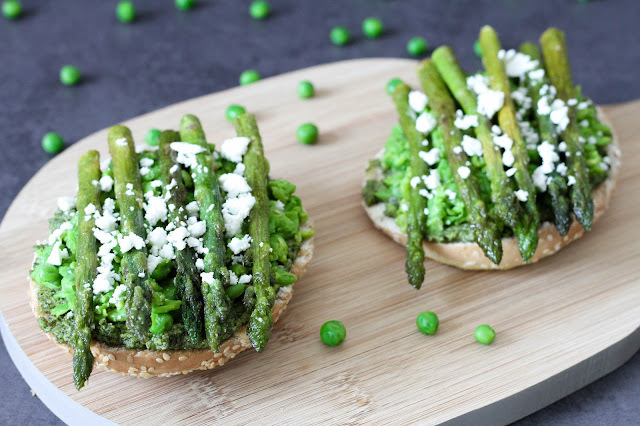 While the asparagus are cooling down toast the bagels and cook the peas. Now you can prepare the bagel halves. Spread 2 tablespoons of pesto onto each half. Then evenly spread the smashed peas on the bagels. 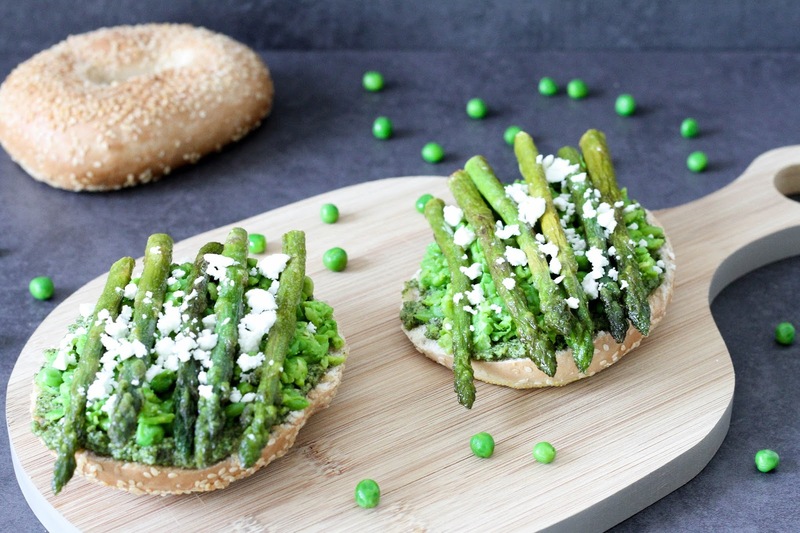 Now place the lukewarm asparagus spears on top of the bagel. 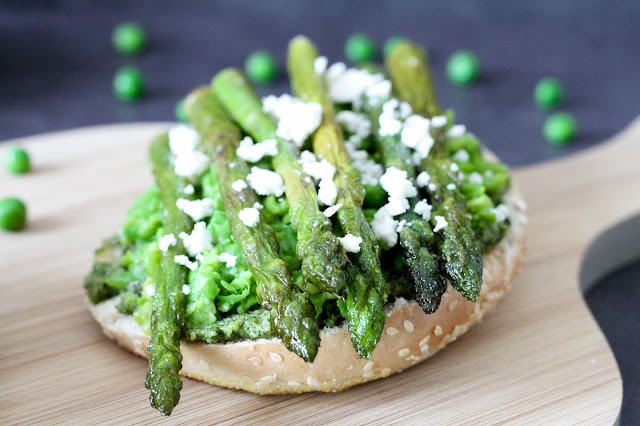 Crumble the feta and sprinkle on both bagel halves. Season pepper. Pretty well and very good thing to try, I would also like to add that the people suffering from skin diseases can also try this to cure them or reduce their effect.